Niccolo Machiavelli is Italy’s best known writer, philosopher & politician. He lived on this, his family’s estate after being exiled from Florence. It is here that he produced his 3 finest works: Il Principe, Mandragola and Clizia. Antonio Serristori, a senator of the Republic of Florence, received the farm at Sant’Andrea in Percussina as a dowry upon his marriage to Niccolo Machiavelli’s final heir. The Serristori name is one of the oldest family names in Florence. 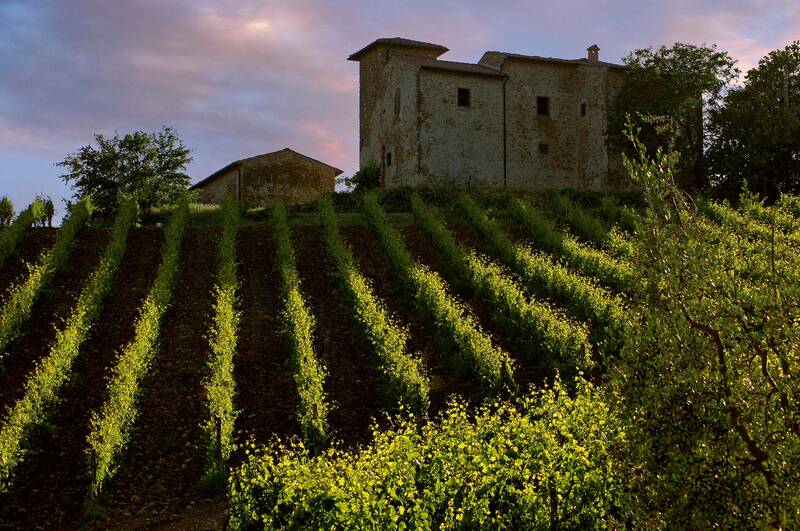 The estate and farm cover nearly 150 hectares of rustic woodland areas, olive groves, wine cellars & of course vineyards, that extends from the heart of the Chianti Classico zone to San Gimignano. 27 hectares are planted to indigenous grape varietals on south-facing slopes at an elevation of around 350 meters asl. The Classico bottling known as ‘Solatio del Tani’ & the ‘Vigna del Fontalle’ Riserva are produced from 2 separate single-vineyard site, that are located adjacent to the winery. These are very traditional Chianti’s that just exude typicity.